Academics from Cardiff University have developed a new app which uses virtual reality technology to help teach road safety to primary school children. 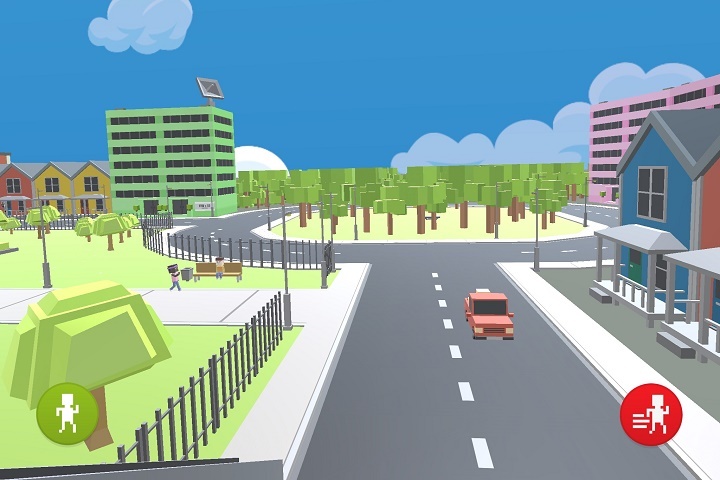 The app, ‘Virtual Road World’, immerses the user in a virtual environment where they are required to complete a series of quests that require them to cross roads in order to navigate around a city. The app has been funded by a £67,000 grant from the Road Safety Trust and is now available on the Apple Store for free. The project team, led by psychologist Dr Catherine Purcell, drew on previous academic research on the way children learn about road safety to produce a game for 7-9 year-olds using the latest available technology. During the development stages, Dr Purcell consulted with 100 primary school aged children about the look and feel of the game, and collected ‘in-game data’ from more than 200 children aged 7-9 years. Dr Purcell says the app has been developed to ‘support and enhance current practice’, rather than replace any existing road safety educational practices or resources. Dr Purcell said: “I am thrilled to have Virtual Road World available on the Apple Store, and to know that it has already been downloaded in the UK and the USA. “The opportunity is there to help educate children about a very real problem. Preventable pedestrian road traffic collisions represent the second largest cause of death for children aged 5 to 14 years worldwide. Sally Lines OBE, chief executive of the Road Safety Trust, said: “Virtual Road World goes beyond 3D video and games for entertainment, offering a fun and accessible way to help children choose safe road crossing sites in the real world, even though they are able to use it in the safety of the classroom. Good afternoon Dr Reddy, and thanks for your post. The press release this news item is based on states ‘Cardiff University’. However, I’ve asked Dr Catherine Purcell for clarification on this point, and I will come back to you here once we have received a response from her. is factually incorrect. Academics and students from the University of South Wales developed the application. Please amend your site.